Williams' Rob Smedley has claimed the team is very confident that the team's lackluster performance at the most recent Monaco Grand Prix was a one off and the Canadian GP will be a completely different story. As last year, Williams appears to have a car that is well suited for high speed tracks where efficiency is key, rather than outright maximum downforce. The team's FW37 still lacks in this area, hence the result at Monaco where Williams recorded 14th and 15th finishes at the Monaco Grand Prix. 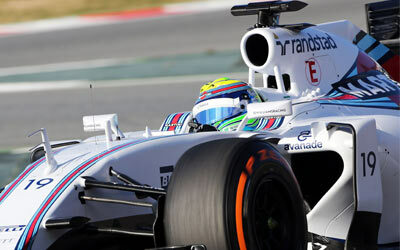 "I think that, regardless of the result in Monaco, Canada should very much suit the Williams car, especially in race trim", Smedley said. "We are confident heading into the weekend that we can get some good points. "It’s a great track, with medium/high efficiency and a strong trend towards low drag and high power, which are two areas that we are fairly well off in. We need to get the car set-up and tyre management under control early on in the race weekend, which will then give us the opportunity to then tweak and hone our package to maximise our points haul. The team did show strong pace in last year's Canadian Grand Prix, qualifying in 4th and 5th before things went downwards in an eventful race.